What an incredible Minsk #TissotUCITrackWC for @MatthijsBuchli @beatcyclingclub – another gold medal 🥇, this time in the Individual Sprint. Jan Willem van Schip bring Netherlands one more win at #TWCMinsk2018 taking gold in the men's omnium. Silver medal went to Poland's Szymon Sajnok, with Russian Lokosphinx's Mamyr Stash taking bronze. 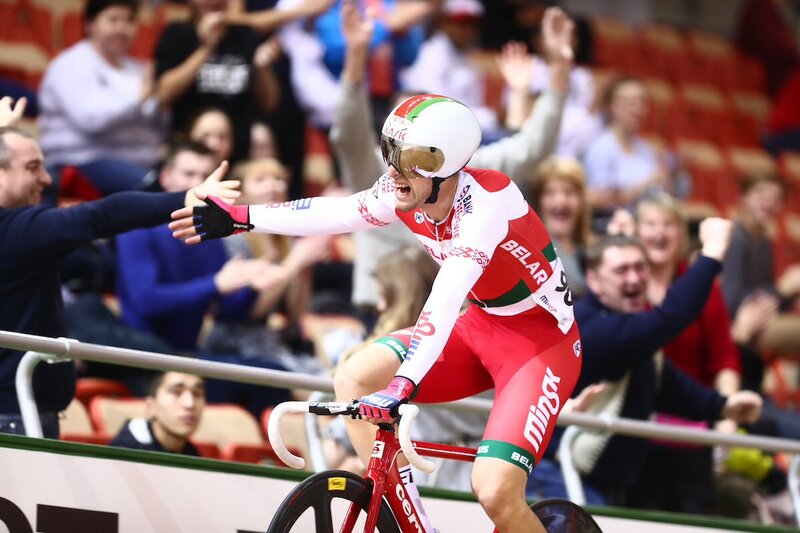 Ivo Oliveira 🇵🇹wins the final Gold Medal 🥇 of the #TissotUCITrackWC with a super ride in the Scratch race. Belarusian 🇧🇾, Yauheni Karaliok, delights his home crowd with Silver 🥈and Vitaliy Hryniv 🇺🇦 takes Bronze 🥉.